You can find some delicious items in the frozen section at Trader Joe’s. Their orange chicken is their best seller year after year, but I tend to be drawn to the pastry section of the aisle. 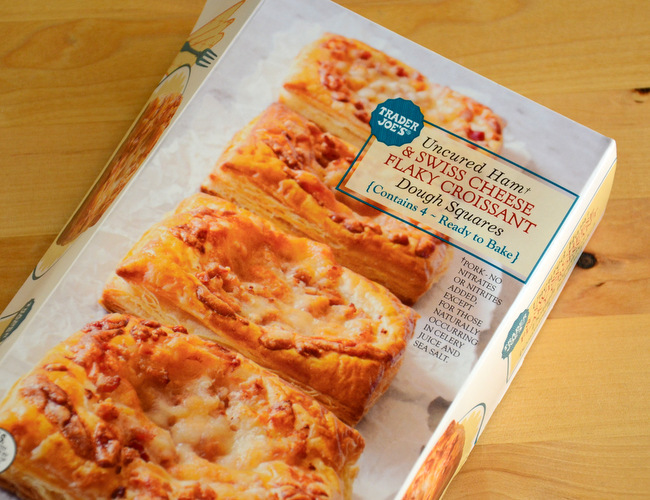 A few weeks ago, I enjoyed some brioche pastries, but decided to switch to something savory and put Trader Joe’s Ham & Cheese Flay Croissant Dough Squares to the test. These pastries start out with squares of croissant dough that are topped with chopped, uncured ham and shredded swiss cheese. Each one is individually packaged – there are four in each box – so you can prepare them as needed and don’t need to wait for a crowd if you want to treat yourself. They can be baked from frozen, so all you need to do is preheat your oven and pop one inside on a baking sheet. I love the casual look of these mini tarts, which could be served for breakfast, a snack or paired with a salad for lunch. 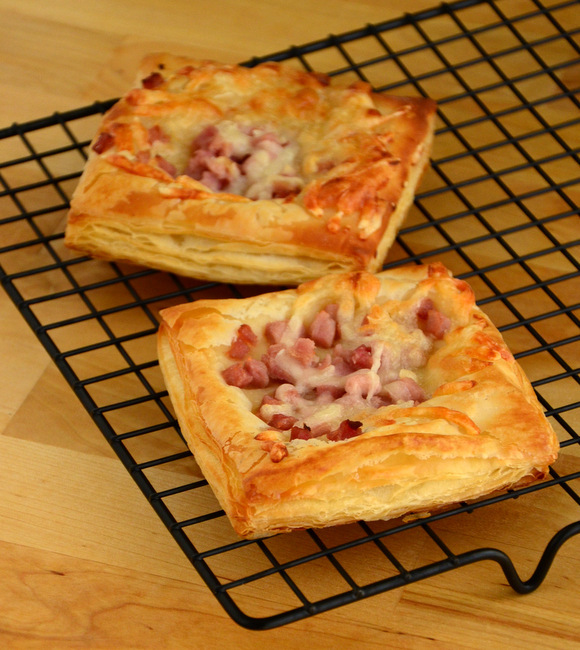 While there was a little bit of variation from pastry to pastry, they tended to be generously topped with both cheese and ham. The recommended baking temperature was 350F and I found that they worked a little better at a slightly higher temperature (375F) and required a few minutes more than the packaging suggested, though that could be because I prefer a more golden pastry. They smelled great when they were baking and were delicious when they were ready. The pastry was light and buttery. The ham had a great flavor and there was just the right amount of cheese to ensure you got some swiss in every bite, without being so generously applied that it felt like you were eating a small pizza. I would definitely get these again and would also consider adding other items to the topping, such as a few cooked onions, a cracked egg (for breakfast) or some small summer tomatoes, just to mix things up.